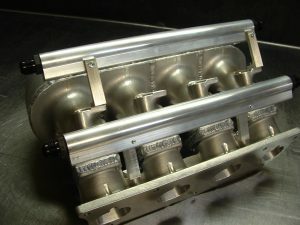 K Honda Dragrace plenum manifold, available in 60m/m or 64m/m ports, with a centerfeed plenum in 3.5 liter/ 6.0 liter and coming soon a large 8 liter plenum. 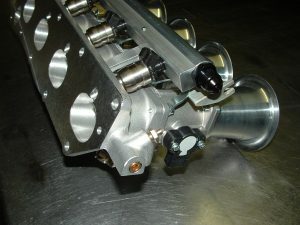 available with single or dual injectors per port. 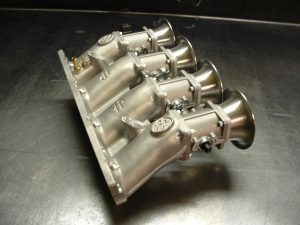 Pricing starts at $1200.oo us$ and up, depending on options wanted. 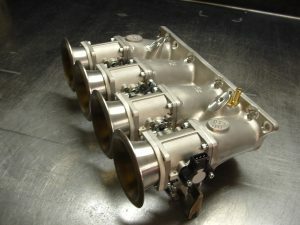 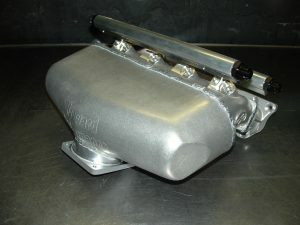 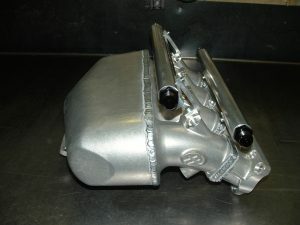 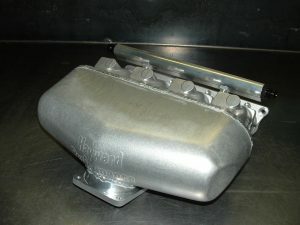 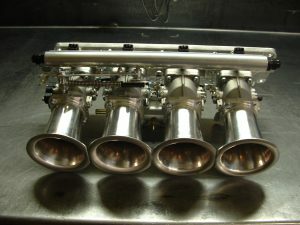 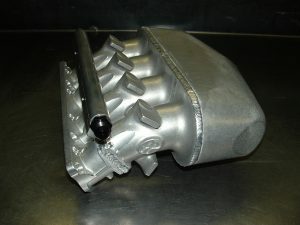 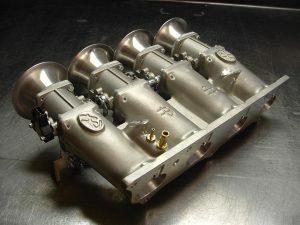 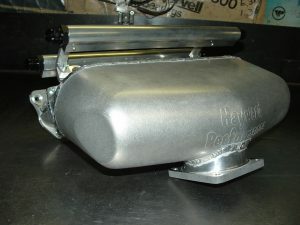 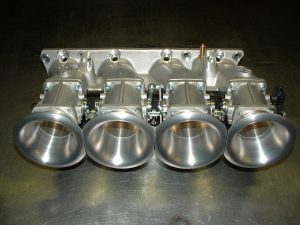 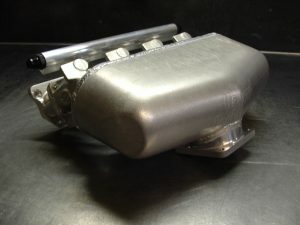 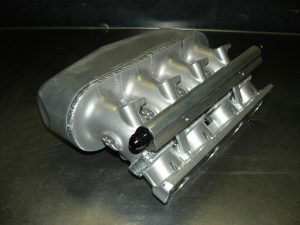 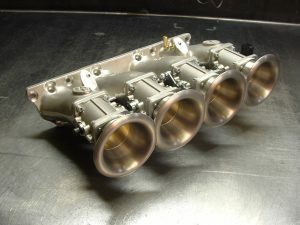 This manifold has supported up to 400HP NA and over 1200HP with high boost levels. 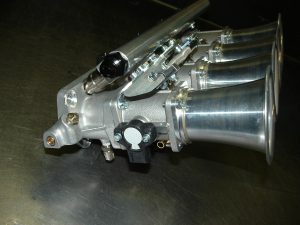 K 20/24, 54m/m ITB manifold is made to fit with the hydraulic power steering pump, pricing: $2400.oo us$. 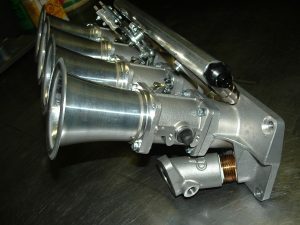 built in vacuum tree, uses stock type fuelrail and injectors.